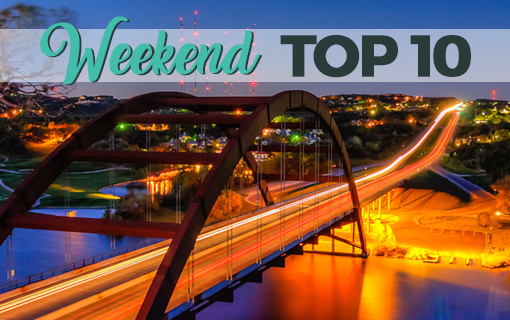 Austin is very much a dog-loving town, but not all of the city’s parks and nature trails allow off-leash walks with your four-legged friends. 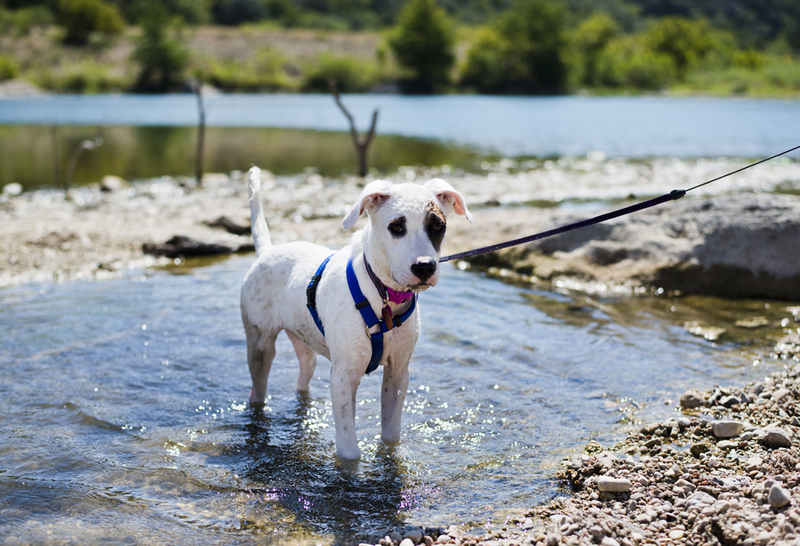 In fact, most parks and nature trails in Austin require dogs to be on their leash constantly, which makes it difficult for them to run, swim, and explore to their heart’s content. 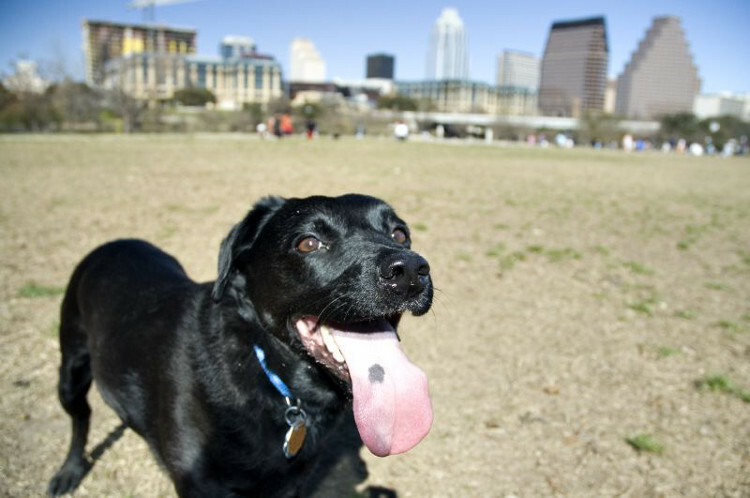 Off-leash parks are Austin’s solution for active dog owners, but many of these designated spaces are too small for larger animals to really let loose, and they are usually devoid of natural enrichment like streams and tall grasses. What’s more, these areas are spread sparsely throughout the city. 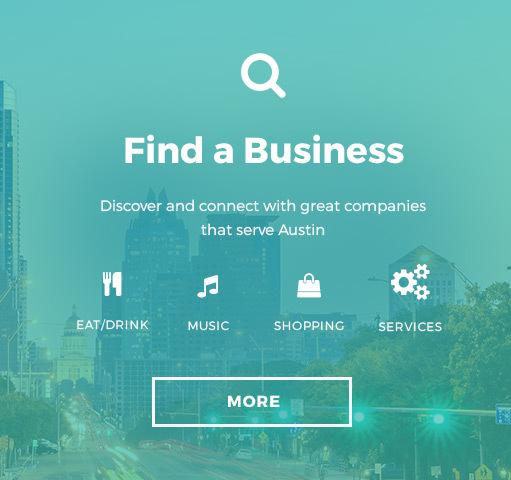 Plus, they can be hard to locate online for lack of official websites. A dog at Red Bud Isle. Photo: Flickr user wablair, CC licensed. 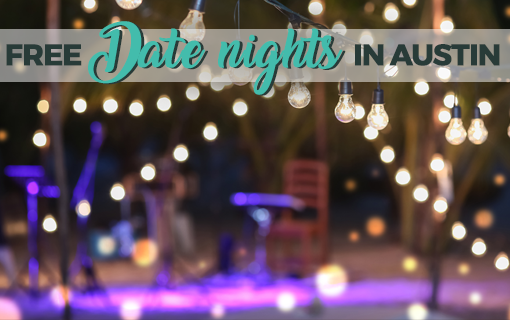 One of Austin’s favorite off-leash dog parks, Red Bud Isle is 13 acres of natural wonderfulness, reserved just for showing your dog a good time. 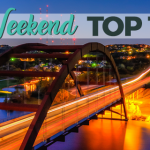 Bring a tennis ball and play fetch in Lady Bird Lake or hike around the island’s half-mile nature trail while your dog explores the bushy woods nearby. 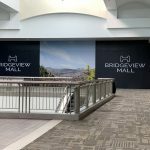 Red Bud Isle presents plenty of opportunities to socialize your dog, since it tends to be quite popular, especially in the mornings and evenings when temperatures are cooler. As a word of caution, some folks have reported instances of smaller dogs getting caught in the river’s mild current after swimming out too far, so keep an eye on your furry friend in the water. 3401 Redbud Trail. 512-974-6700. Open daily 5 a.m. to 10 p.m. Free. Website. Austin’s 2.5-mile Turkey Creek trail is one of the only off-leash nature trails in the city, and it has everything a dog could want in a leashless adventure—including plenty of other dogs to pal around with. The trail follows Turkey Creek through a dense wooded area, giving your friend a lively stream with plenty of deeper pools to swim in. If your dog is active and task-oriented, this is the trail for you, as the many elevation changes along the trail are likely to wear out your companion and give him or her a satisfying sense of accomplishment. To top it all off, you will even find a free doggy bag dispenser at the trailhead! Yes, the stars have all aligned in your favor. 1600 City Park Rd. before Emma Long gate. 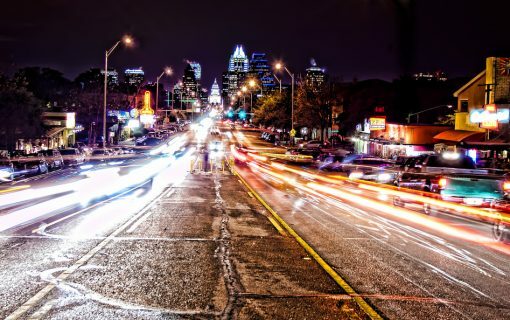 512-346-1831. Open daily 5 a.m. to 10 p.m. Free. Arrive early to claim a parking spot. Trail map. Website. An Austin pup getting ready for a walk at Auditorium Shores. Photo: Flickr user Wade Treichler, CC licensed. After a recent redesign of the park, the western portion of Vic Mathias Shores is now designated as an official off-leash play zone. 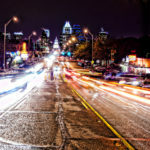 For those who haven’t been out to the park since the redesign, the City of Austin offers some insight into the layout and reasoning behind the changes, as well as the newly added features. 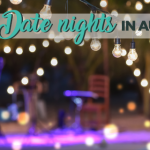 If your dog is well-behaved, Auditorium Shores can be a great place to socialize your dog and let him or her romp around in the grass or play in Lady Bird Lake. However, if your dog’s behavior is more unpredictable, then it might be best to avoid this unfenced park because it’s so close to several busy city streets. 800 or 920 W Riverside Dr. 512-974-6700. Open daily 5 a.m. to 10 p.m. Free. Website. Part of Walnut Creek Metropolitan Park. Photo: Flickr user Vicki Mitchell, CC licensed. 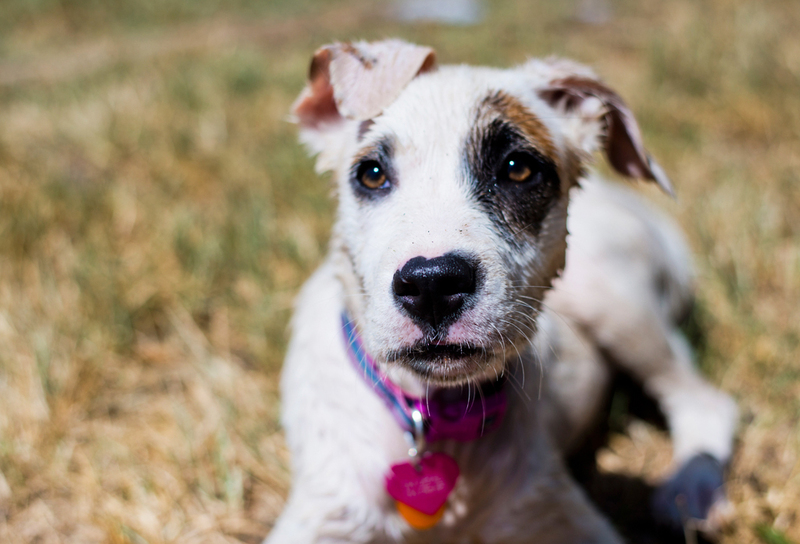 Walnut Creek Metropolitan Park’s off-leash area includes everything an adventurous pooch will need to be happy on an outing: winding dirt trails, natural vegetation, a creek to splash around in, and plenty of other dogs and humans to wag their tails at. The extensive trail system stretches across 200+ wooded acres of public land, so your pup will have plenty of space to explore and let his or her instincts loose. 12138 N Lamar Blvd. 512-837-4500. Open daily 5 a.m. to 10 p.m. Free. Trail map. Website. There’s no place a dog can’t go at Onion Creek District Park! Every part of this sizable park is off-leash kosher, with the exception of the playground area. Predictably, the park centers around the beautiful Onion Creek, which is perfect for a dip or for a water-oriented game of fetch. 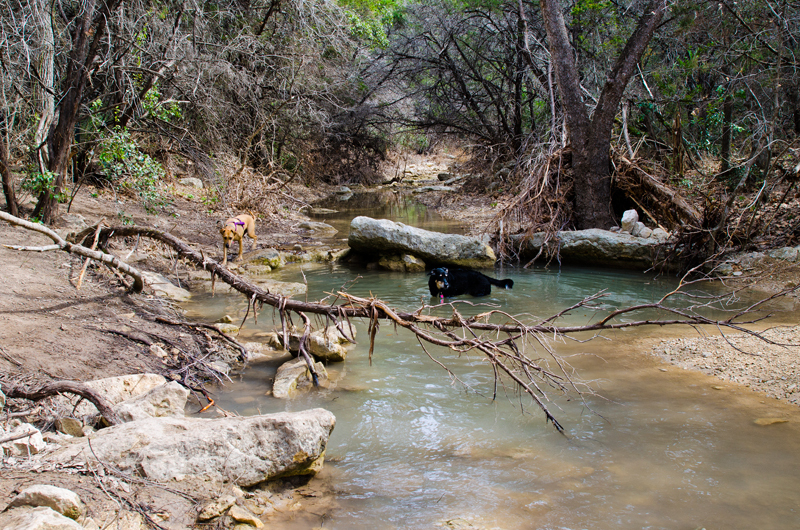 Besides swimming opportunities and shady hiking trails, Onion Creek contains a good amount of doggy bag stations scattered throughout its 170 acres, which makes it easy to clean up after your furry charge. 7001 Onion Creek Dr. or 8652 Nuckols Crossing Rd. 512-974-6700. Open daily 5 a.m. to 10 p.m. Free. Website. 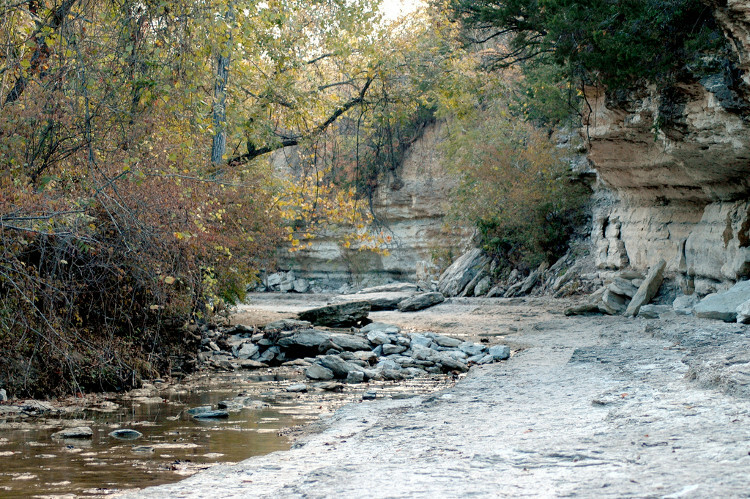 A trail in Austin’s greenbelt. Photo: Flickr user Brandon Turner, CC licensed. 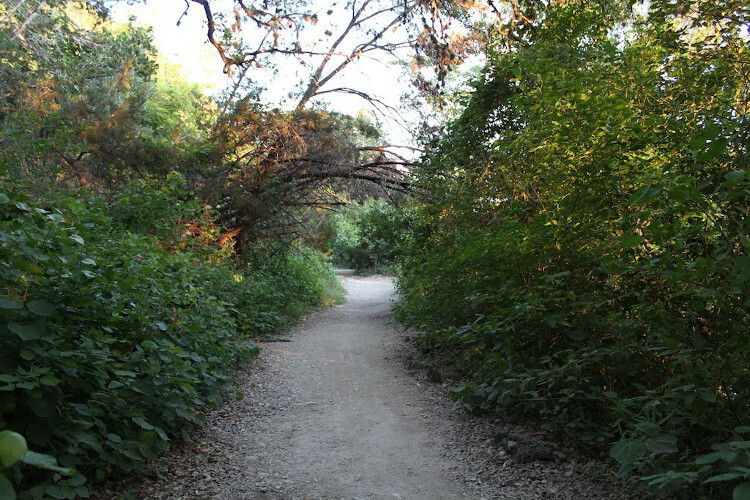 The Shoal Creek Greenbelt might not be as large as the Barton Creek Greenbelt, but this ribbon park boasts an impressive 3.25 miles as it stretches from Lady Bird Lake all the way up to 38th St, and the off-leash dog trail between 24th St and 29th St is a little over a mile long. That’s plenty of time for your dog to get his or her play on, especially since you’ll need to loop back through the off-leash area to get back to your vehicle, which will add another mile to your adventure. 2600 N Lamar Blvd. or 2631 Shoal Creek Blvd. 512-974-6700. Open daily 5 a.m. to 10 p.m. Free. Trail map. Website. 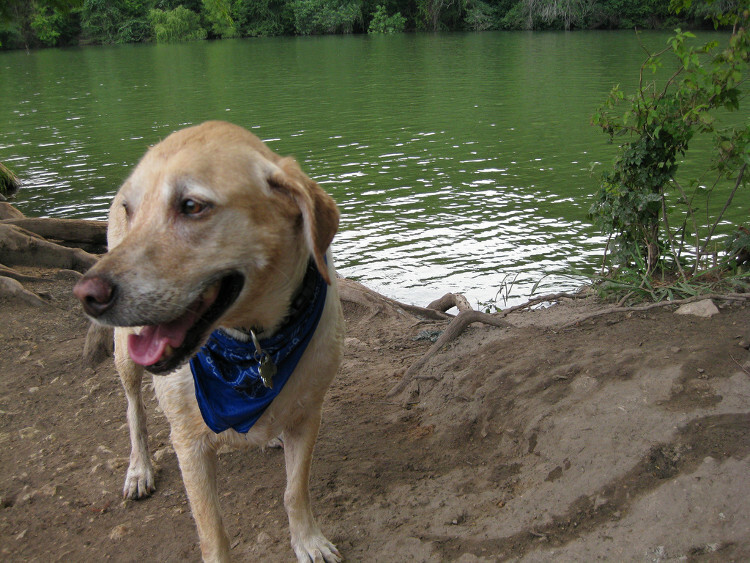 Austin contains a surprising amount of hiking trails and natural spaces beyond these, so if you don’t mind having your dog on a leash you can also add Barton Creek Greenbelt, Bull Creek Greenbelt, McKinney Falls State Park, and perhaps even Lake Georgetown’s 28-mile Goodwater Trail to your list of natural areas to explore with your canine companion. To find more dog-friendly parks and trails, including other fenced and non-fenced, off-leash areas, check out the city’s off-leash dog park map, along with this guide.